Deep furrows on the forehead, frown lines over the eyes, drooping eyebrows and hood-like skin over the eyes are all conditions that can make you look older than you are or feel. Whether age or heredity causes these conditions, a forehead lift (or brow lift) can give you a more youthful, refreshed appearance. Am I a good candidate for a browlift? What can a browlift do for me? A browlift can give you a more refreshed and youthful appearance by tightening the skin of your upper forehead, upper eyelids, and eyebrows. It can help reduce frown lines or brow sagging. After surgery, your eyebrows will be elevated into a more natural, youthful position. How is a browlift performed? Just like most plastic surgery procedures, there are multiple options for lifting the brow. 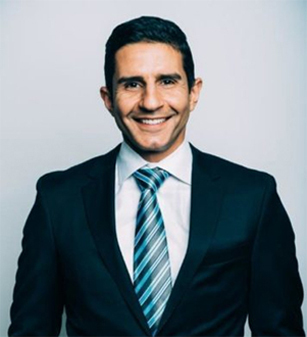 Patients in our Seattle plastic surgery office will meet with Dr. Shahram Salemy, who will help you choose the procedure that will best improve your specific anatomy based on your goals and other considerations. Dr. Salemy uses the latest techniques, including limited incision browlifts, to minimize incisions, provide very natural results, and avoid a “surprised” or “operated on” look. Open browlift: During an open browlift procedure, Dr. Salemy will make a long incision across the forehead around the hairline or in a natural crease. He will remove excess skin and elevated and reset the brow into its new position. Limited incision technique: This procedure is designed to address the lateral brow, the goal to create a nice, natural elevation. Dr. Salemy will make limited incisions made in the hairline, and through these incisions, Dr. Salemy will release the corner of the brow and elevate and reset it into its new position. What is the recovery from a browlift like? A week after your browlift procedure, you will return to our Seattle plastic surgery office to have your stitches or staples removed. You may experience reduced sensation in your scalp during the first few weeks and may see some bruising. After a month, most patients can return to normal activities. After 6 months, patients can expect to see final results from the surgery. How long do the effects of a browlift last? While every patient will continue to age, results from a browlift should last approximately 10 years or so. However, this time frame will vary depending on the individual patient. Contact us today to schedule a Brow Lift consultation!